CURT snap hooks feature a patented design and are constructed with high-strength steel and a bright zinc finish. They can be used for fastening straps, ropes, chains, cables and other tie-downs and are especially useful for hand winch straps. CURT snap hooks range in capacity from 2,000 lbs. up to 5,000 lbs., also making them reliable safety chain attachments for many light-duty and medium-duty trailers. 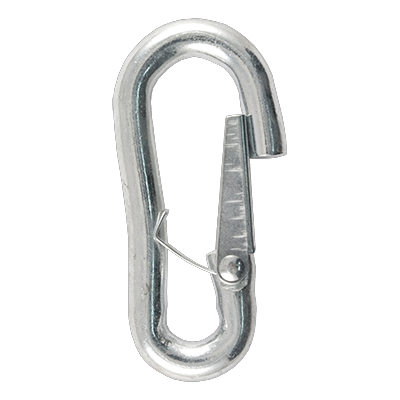 We offer hook diameters in 3/8", 7/16" and 9/16", as well as a specialty snap hook option with a 5/8" eye.